Get ready to light up the night in this fun, sparkly party dress. The City Lights Sequin Embellished Dress is fully lined. 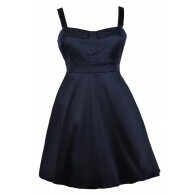 It has a subtle V neckline with straps that crisscross at the front. The fabric has a bit of stretch to it and is decorated with brightly colored sequins in a geometric pattern. A side zipper completes this dress. 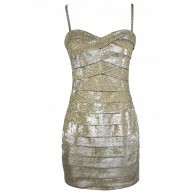 The City Lights Sequin Embellished Dress would be perfect for a night out with friends. It looks great paired with black pumps or strappy heels and a clutch. You'll get noticed for all the right reasons in this cute sequin dress. Details: Fully lined. Side zipper. 96% rayon, 4% spandex. Lining: 100% polyester. Hand wash cold 30 c max. Do not bleach. Do not tumble dry. Cool iron 110 c max. Do not dry clean. Line dry. Iron on reverse side only. Wash dark colors separately. 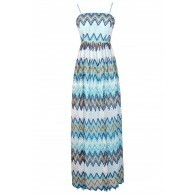 Size 3 measurements: Length from top of shoulder to hemline: 34". Bust: 32". You have added City Lights Sequin Embellished Dress in Pink/Black into Wishlist. You have added City Lights Sequin Embellished Dress in Pink/Black for Stock Notification. You have set City Lights Sequin Embellished Dress in Pink/Black as a loved product. You have removed City Lights Sequin Embellished Dress in Pink/Black as a loved product.